The Heart in Hand Quilt Guild has once again sewn quilt tops to donate to children in need! On Saturday, March 25, thirteen members met at the Bowen Center for the Arts. 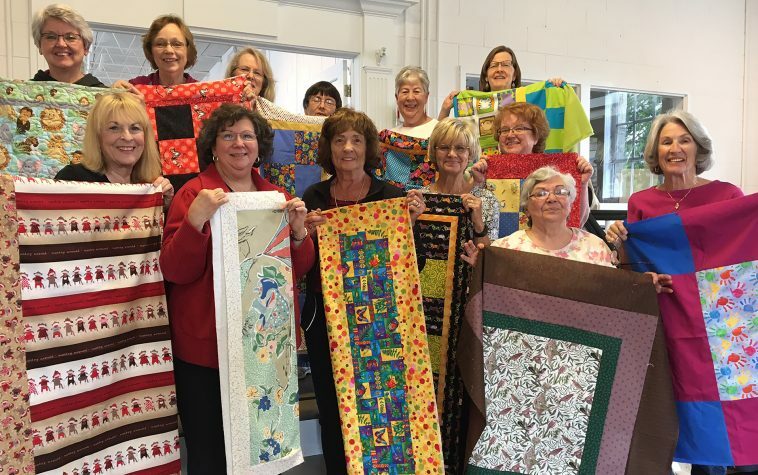 Guild member Cathy Currier, offered to quilt all the completed quilt tops. Hopefully, she knew what she was in for! 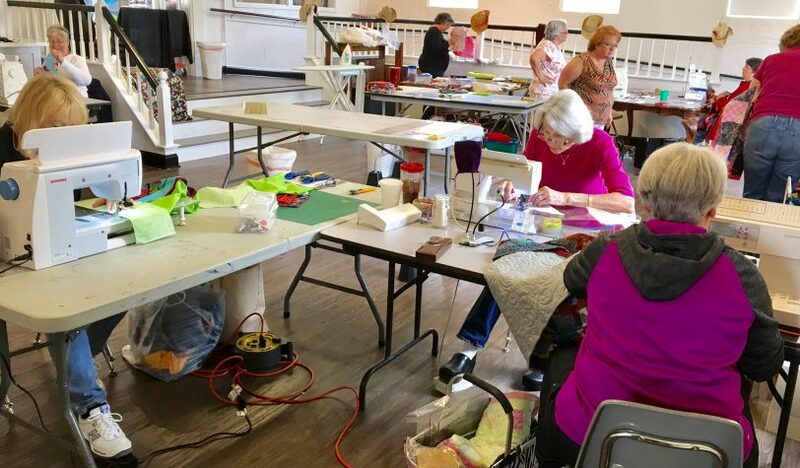 After 6 hours of non-stop sewing, 48 quilt tops in all shapes and sizes, colors and designs were created. These finished quilts will be donated to various children’s organizations as part of the Heart in Hand’s “Project Linus” outreach. Mary Beth Tharp, Dianne Summers, Ellen Masters, Jackie Somerville, Joan Peterson, Patricia Bourne, Sandra Curle, Barbara Venable, Deborah Raptis, Liz Smith, Joan Sievenpiper, Dot Edmunds and Sylvia LaFalce. This Guild of over 55 members meet at The Bowen the second Tuesday of the month at 6:30p.m. For more information, contact Jackie Somerville to check dates at jsomerville@windstream.net or come to the Bowen.